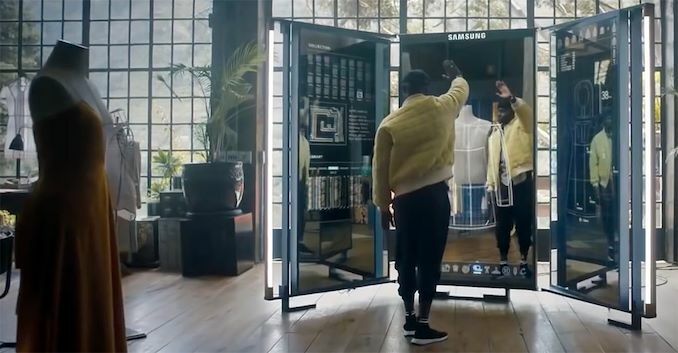 Samsung Vietnam has accidentally published (and subsequently removed) a brand advertisement video that shows a glimpse at the company’s existing, conceptual, and presumably upcoming products. 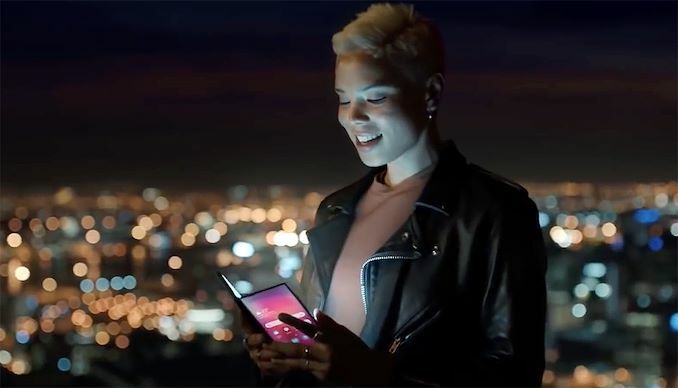 Among other things, the footage depicts the company’s rumored foldable Galaxy smartphone (often quoted as 'Galaxy F', or 'Galaxy X') as well as bezel-less Galaxy tablet. Obviously, there is no word about release dates, but the video shows the direction that Samsung wants to take. It has been no secret that large flexible displays are coming to devices, with the Royole FlexPai being debuted last year as the first smartphone with a flexible display. Samsung’s Galaxy Foldable smartphone, shown at the 23-second mark, apparently opens like a book with a regular display on the outside but a flexible display on the inside. The ‘external’ display features what looks like a regular Android home screen as well as a larger ‘internal’ display. 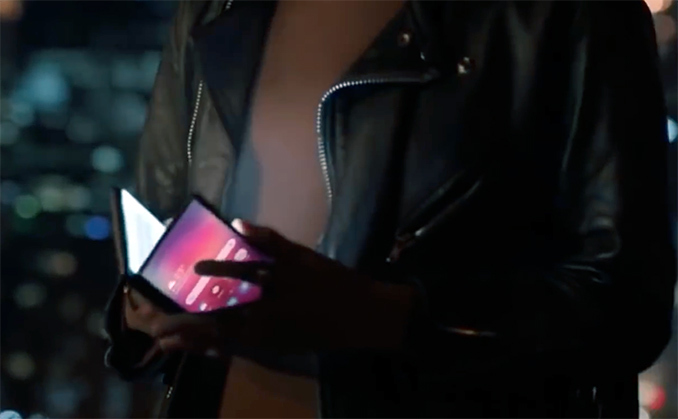 Considering the fact that we are presumably dealing with a contemporary Android home screen, this might mean that Samsung’s actual foldable smartphone is now a close-to-market device. Another concept smartphone is demonstrated at the 30-second mark. This one features very thin bezels and is outfitted with a medical ultrasound device connected to the USB port. 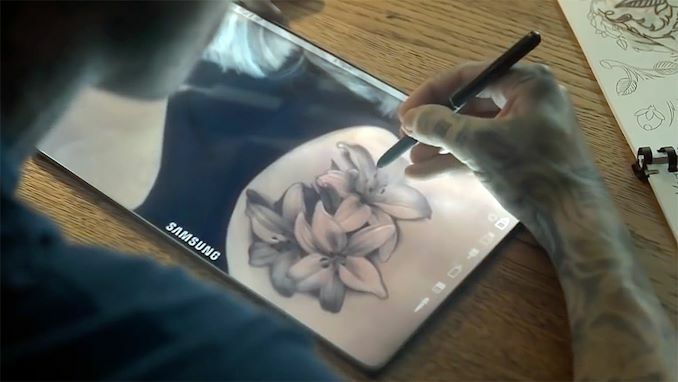 Yet another intriguing mobile device that Samsung shows in its video is a bezel-less tablet used by a tattoo artist. Keeping in mind capabilities of the AMOLED technology, creating a bezel-less tablet is possible even today now that Samsung mass-produces 15.6-inch AMOLED displays for premium notebooks. Of course, it remains to be seen how convenient it will be to use a tablet without bezels at all, but from a concept point of view, this is the Holy Grail both for tablets and smartphones. Other interesting conceptual devices that Samsung demonstrates in the video are a tattooing robot controlled by the artist that is painting a tattoo on a lady’s back as well as a fashion designer that dresses a virtual mannequin on a large screen using gestures. The video ends up with the hashtag #DoWhatYouCant, which might be Samsung’s motto for the upcoming Unpacked launch event on February 20, as well as promotional material at MWC later this month. Samsung Vietnam has already removed the ad, yet it stayed online long time for everyone to repost it. If they could make phones user friendly and easily replace broken screens... wait, they don't want you to have that.